Live recording, 20/04/2007 Sandringham Hotel, Newtown, Sydney. At the time of recording Mother Eel were Nathan Kenna - Guitars, Vocals; Tom Hungerford - Bass, Vocals; Adrian Johnstone - Drums, Vocals. Yakuza Chakai is the seventeenth release from the futuristic virtual label Crypt Designers Guild (Catalogue Number CDG A017). Bringing the four islands of the Japanese underground, these in-famous songs will have many of the bosses gladly clinking their tea-bowls in joy and satisfaction. Calmly enjoyed with rice and a bowl of seaweed to be devoured at sunset. Dark Horse live, 28 January 2012, Sly Fox Hotel, Sydney. Full set, unedited. Here for you as full bandwidth, high quality .wav much smaller file size but still high quality 320kbps mp3 or an inferior 160kbps mp3 All copyright and/or similar held by the artists. SORE, live at The Sly Fox Hotel, Sydney, 28 1 2012. Full set, unedited. Here for you as full bandwidth, high quality .wav much smaller file size but still high quality 320kbps mp3 or an inferior 160kbps mp3 All copyright and/or similar held by the artists. Black Jesus, live at the Valve bar, Sydney, 9 March 2012. 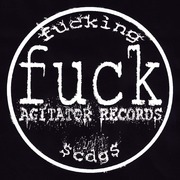 Recorded by TKA for Agitator Records. Mastered by pernicious sovereign. All copyright and/or similar held by the artists. Innsmouth, live at The Valve bar in Sydney, 9 March 2012. Recorded by TKA/Agitator Records, mastered by pernicious sovereign. All copyright and/or similar held by the artists. Ivan and The Backpackers, live @ Blackwire Records, Sydney, 3 Feb 2012. Recorded by TKA/Agitator Records. Recording unedited and mastered by pernicious sovereign. All copyright and/or similar held by the artists.